Michael is a banking and finance Partner with extensive experience in major asset restructuring and insolvency transactions, and associated dispute resolution. Michael lives and works in Melbourne and Adelaide and has experience practising throughout Australia. With a principal focus on high-end insolvency work, Michael has particular expertise in restructuring including formal administrations and Deeds of Company Arrangements, informal workouts, securities enforcement and associated dispute work. He has also advised on a number of landmark transactions in the area of audit liability in both South Australia and Victoria. Michael also has a specialty in the area of valuer negligence and liability, and has prosecuted a number of actions for banks in all Australian jurisdictions. Michael has a reputation as the go-to person on difficult assignments. He adopts a highly commercial and pragmatic approach when acting for clients. He acts for major Australian banks, financial institutions and insolvency practitioners. 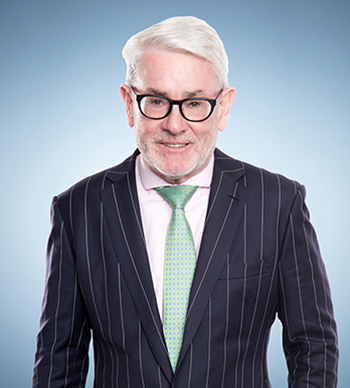 Michael has been recognised by his peers as one of the Best Lawyers in Australia in the areas of Insolvency and Reorganisation (2012 – 2020) and Banking and Finance law (2014 – 2020). Michael has recently been recognised as an “outstanding” Asset Recovery lawyer in Who’s Who Legal (2017), and acknowledged for his expertise in the banking and finance sectors. Michael has also been recognised in Doyle’s Guide (2014 – 2017) as an Insolvency and Reconstruction lawyer in South Australia, with various rankings and as a recommended South Australian Commercial Litigation and Dispute Resolution lawyer (2016 – 2018). Michael is actively involved in public debate and education. He has written and presented on a range of technical, corporate governance and insolvency issues. He was also one of the first lawyers to undertake the Advance Insolvency Course then presented by the predecessor to ARITA, which is a specialist post graduate insolvency education program. Acting for the former directors of the Gunns Limited Group in respect of proceedings underway in Victoria and Tasmania. Acting for the Liquidators of the Penrice Soda Holdings Group. Penrice was an ASX listed entity with some $200 million in creditors. Acting for the Administrators of the Nylex Group in respect of their substantial South Australian based assets. Acting for the Administrators in relation to the South Australian assets of the ION group of companies, which were subject to, alternatively, a Deed of Company Arrangement or liquidation. Acting for ANZ Banking Group Limited on a cattle station exposure of approximately A$45 million Northern Territory based property. Michael acted in the negotiation of the delivery of the property by the borrower, and the appointment of receivers and managers – the Brisbane office of McGrathNicol – and has acted on all aspects of the receivership, including a recently completed sale process. Security enforcement work in South Australia, Victoria and Queensland. Professional negligence actions on behalf of Banks against Panel valuers throughout Australia. Acting in discrete bank related disputes in each of South Australia, Victoria, Queensland and NSW.